What you find pictured below is a series of photos - not particularly in order - showing many of the traditional quilts I have made over the years. 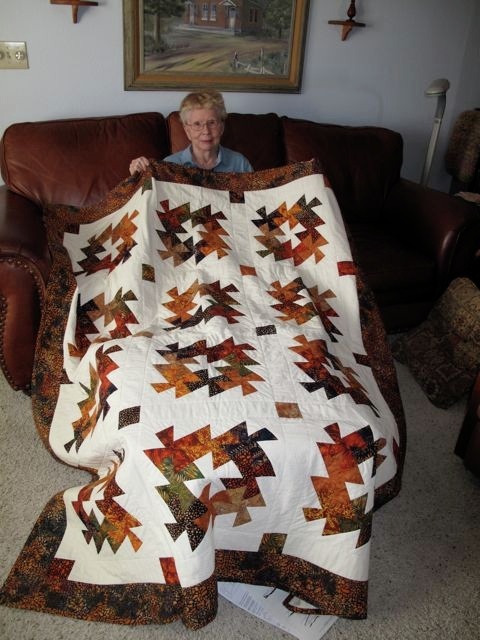 I am having to work to find the photos of past quilts. 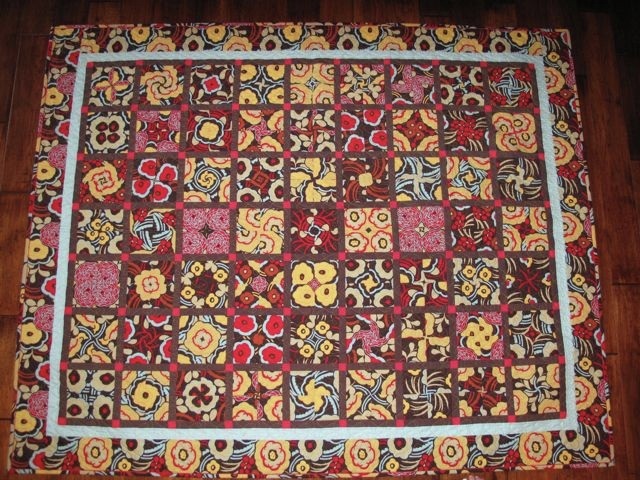 I didn't always take photos of my quilts with my digital camera I am having to work to find the photos of past quilts.. 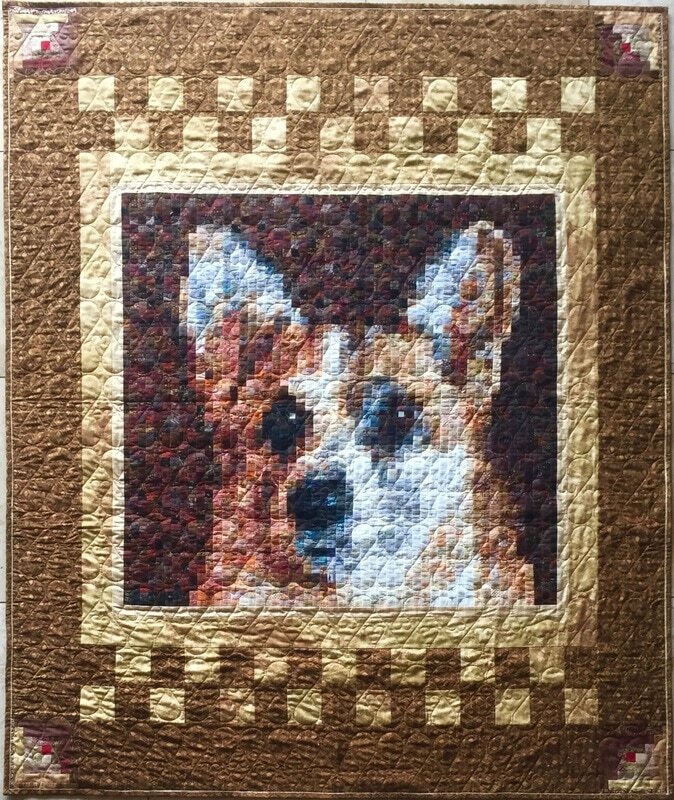 I hope someday to have some of my older quilts posted on this page. Until then, what follows is part of my collection of completed quilts. 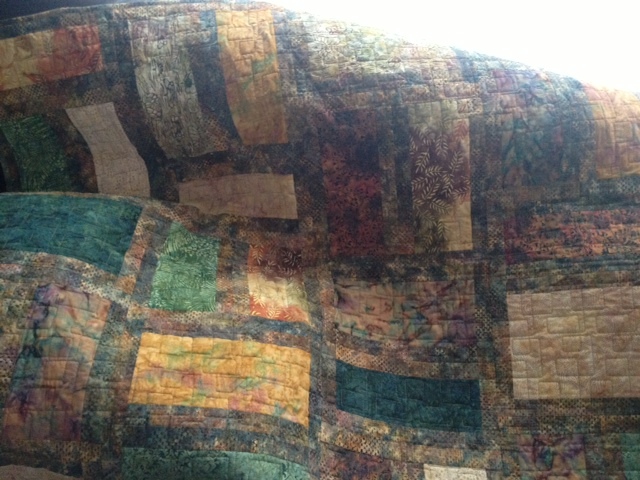 I had extra blocks from the queen-sized quilt so I made a throw quilt that is quite useful when using the couch. 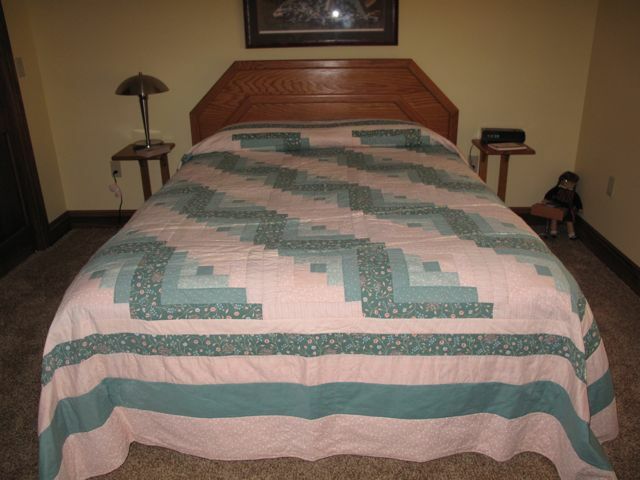 I made this quilt for Steve in 2004 for his first Living Quarters Horse Trailer. Two trailers later we still have the quilt. 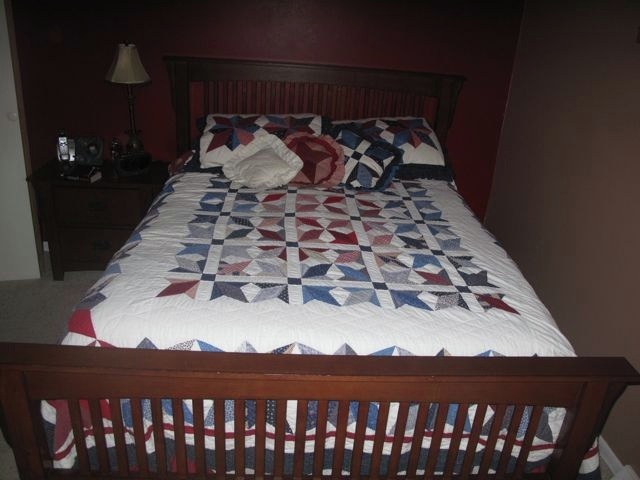 I like the patriotic colors and the geometric pattern. I quilted it with a star stitch. While working on the quilt she asked me, "Grandma, can this one stay in the Hanson family?" I could hardly keep a straight face. it is backed with a warm and soft pink dotted flannel. I loved making this for Ryleigh on her 2nd grade Christmas. This quilt is the 2013 mystery quilt - "Hexagon Along". 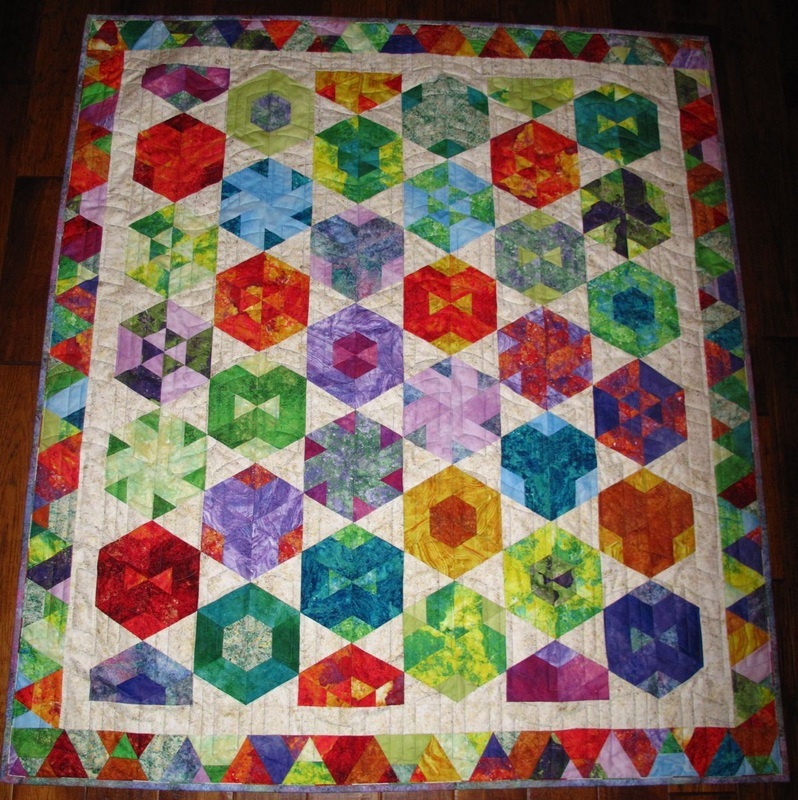 I named it Mirrored Jewels because of the Mirror quilting design and the bright jewel colors. This quilt was made for friends Kurt and Sue. 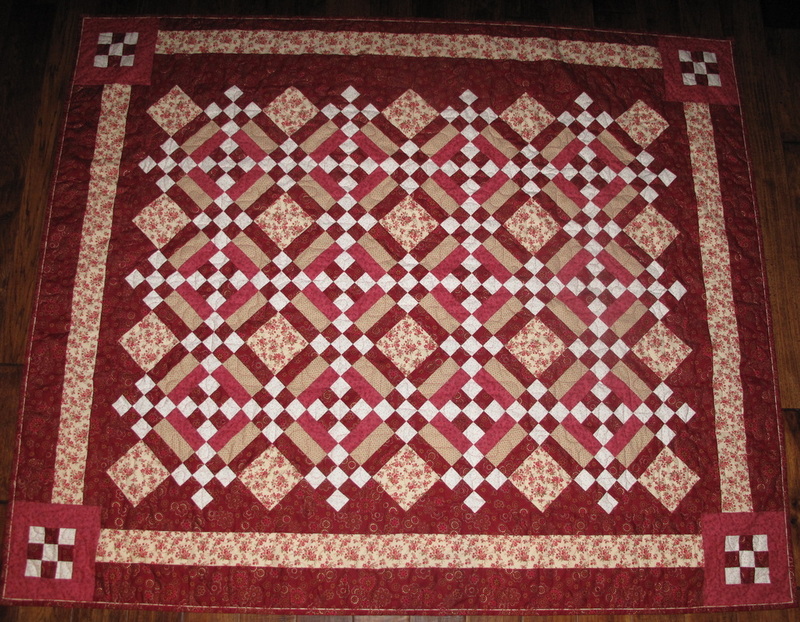 It is called "Barbed Rails" from the jelly roll quilt pattern and the barbed wire quilting pattern. 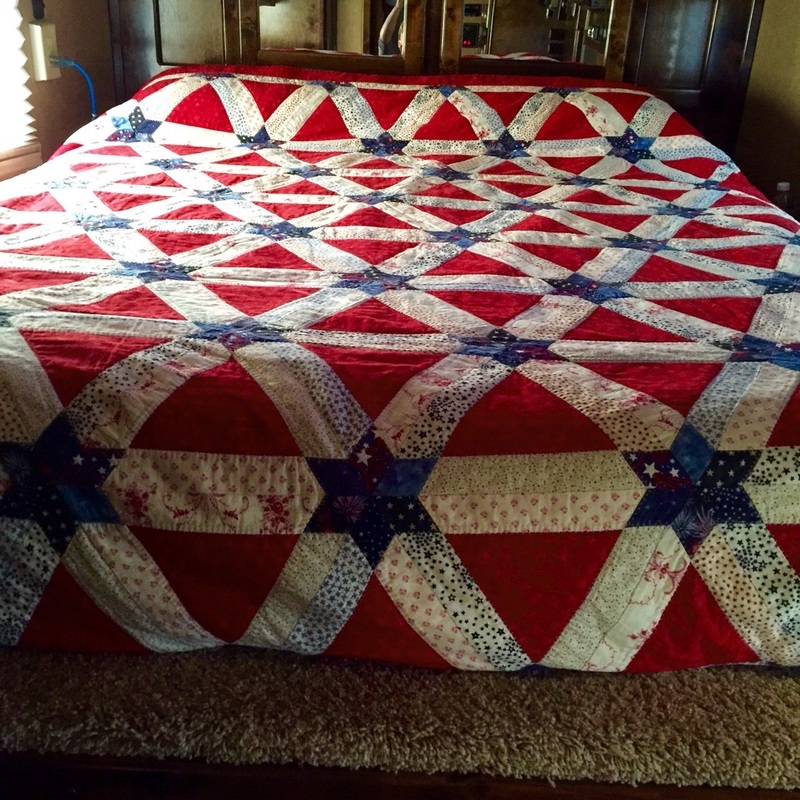 I really enjoyed making this quilt. I chose a small floral piece with gold accents as my focus fabric. After giving a 5" square to each member of the group,I was amazed with what they came up with. It was hard waiting because my birthday wasn't until May, the end of the year. 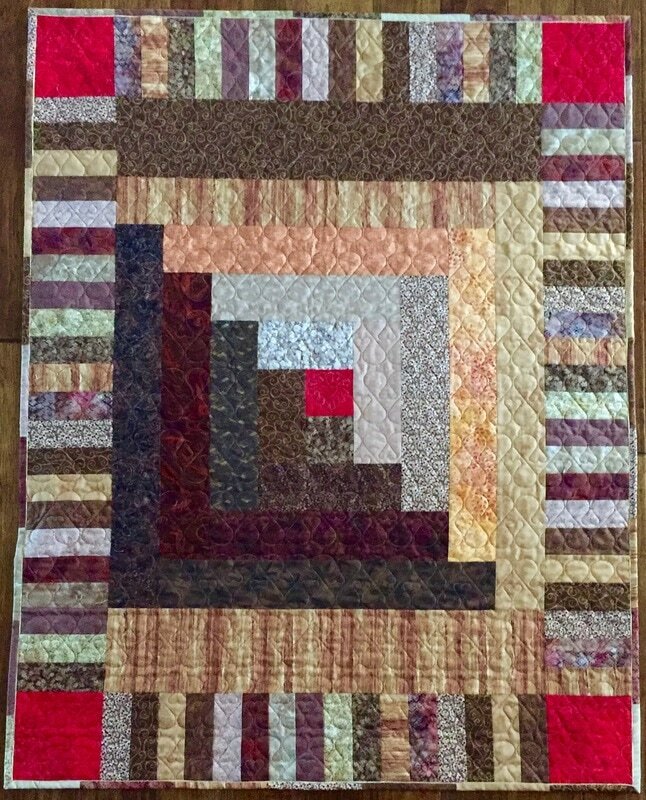 This quilt fits my personal color scheme of fall colors and gold accents. 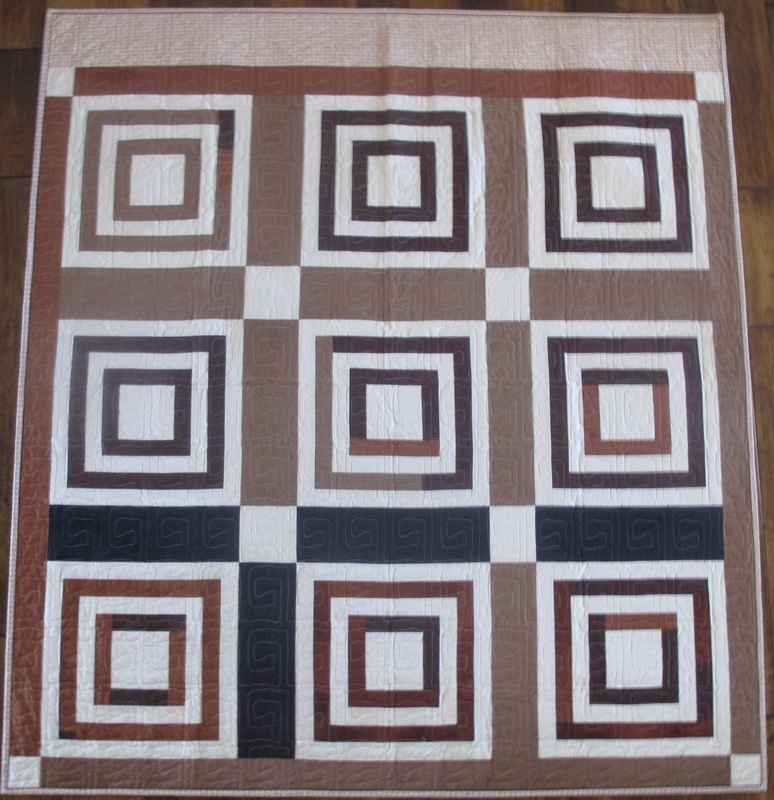 Part of an all-day quilt project, the name of the quilt comes from the fact that most of the blocks (6/7 of them, in fact are the same style) and the other 1/7 are different. 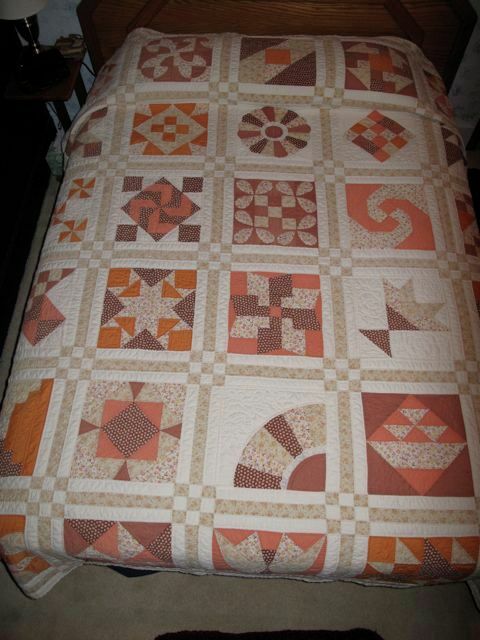 The reason for the name is that the quilt designer would make the same block each day for six days and then "Only on Sunday" she would make the seventh block. 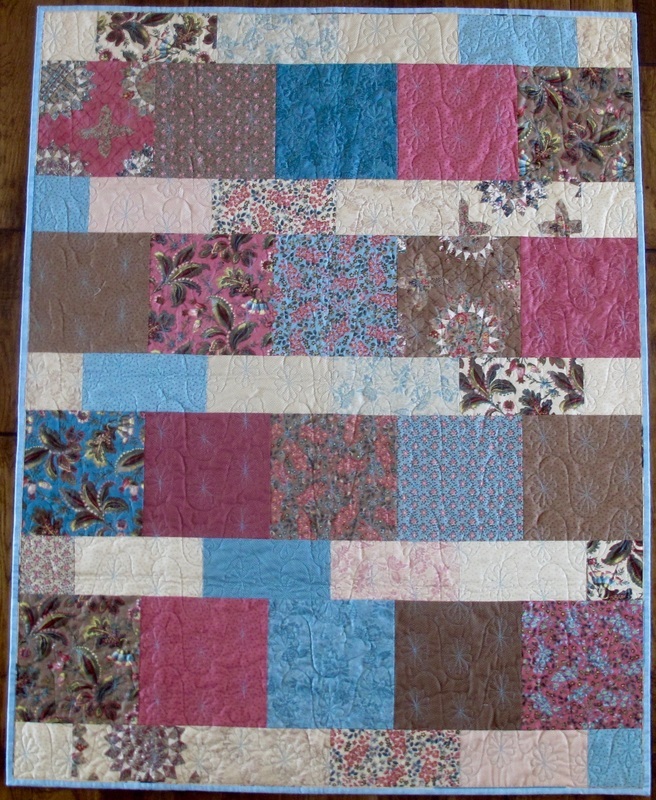 It was a fun quilt to make - I used extra blocks to make the inside border and had very little fabric left over. 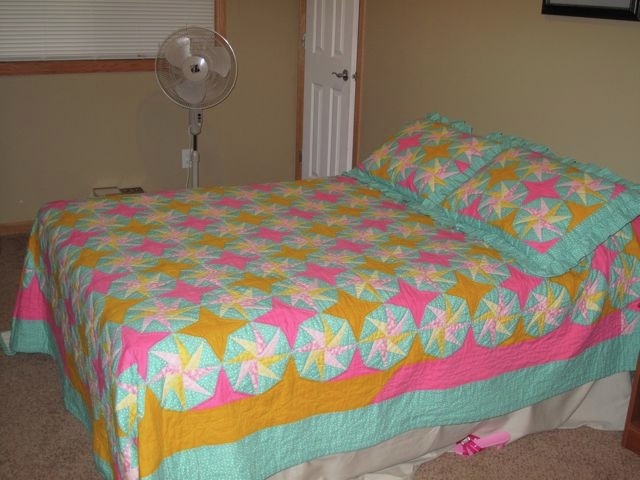 This quilt was made from fabrics purchased at my first statewide Nebraska Quilt Shop Hop. Bill and Kathy were instrumental in creating the first design for our new home. We are grateful for that but more especially for their friendship. 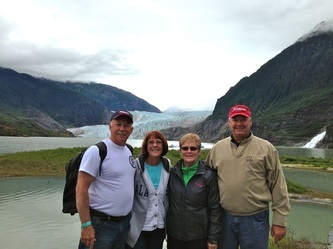 We recently celebrated our 40th anniversaries together in Alaska. 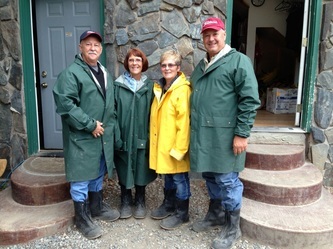 Below are a couple photos. 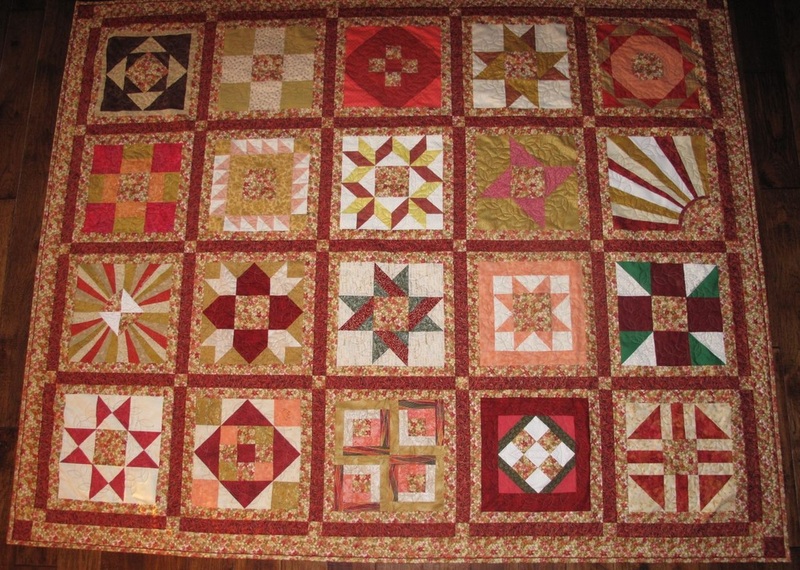 This is a quilt started several years ago - it was a "Murphy's Law" quilt if I have ever made one. I finally completed it and I think it looks rather nice in my newly painted room in my basement. I designed the center block to represent their initials D-J-O. 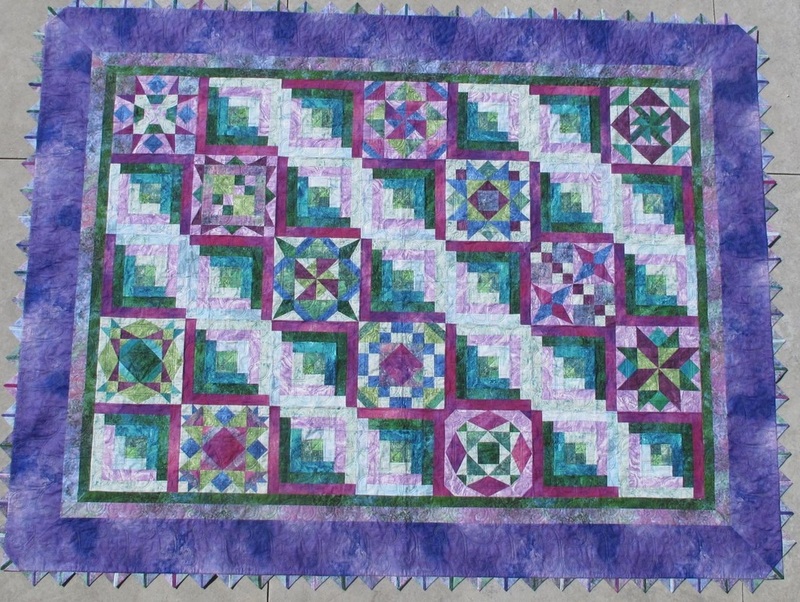 This was my first attempt at original block design, maybe leading me to art quilts later on in my quilting adventures. 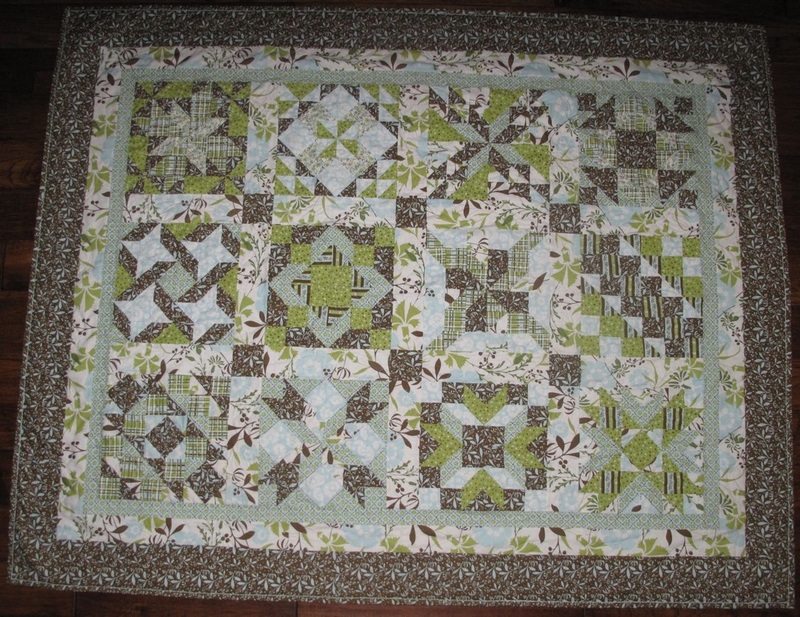 This quilt is an "Irish Chain" pattern. It was made for my twin brother, Scott's wedding in 1993. 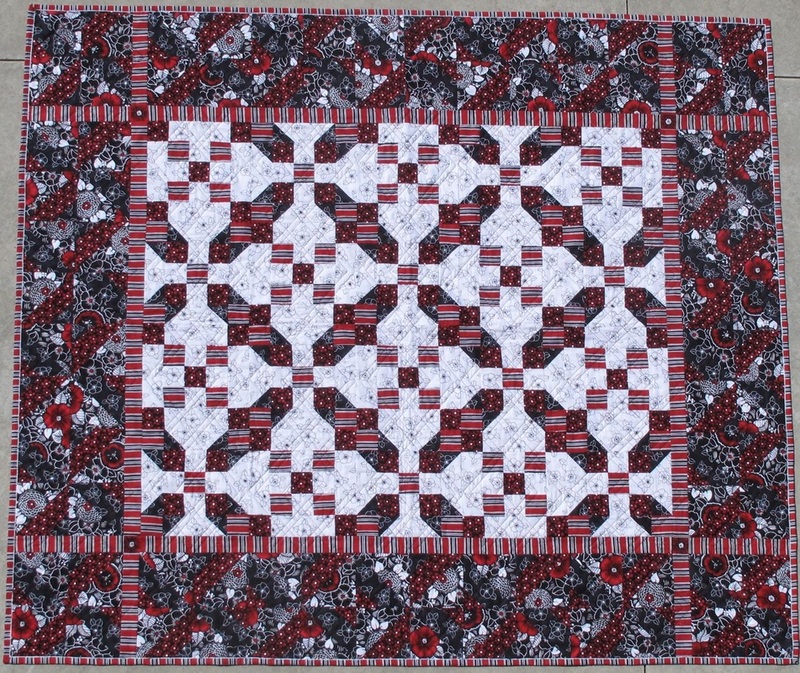 It was on of the first quilts that I machine quilted. 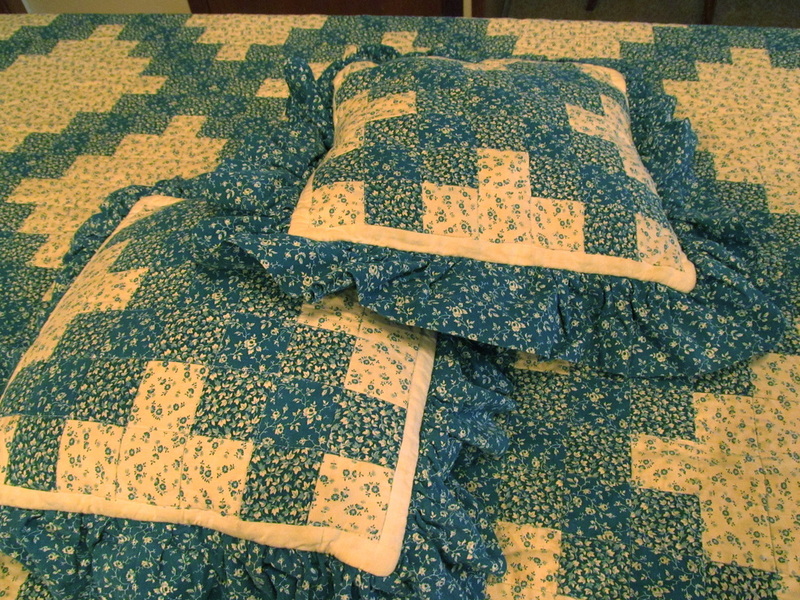 I like to make pillow or pillow shams with the extra blocks or fabric. 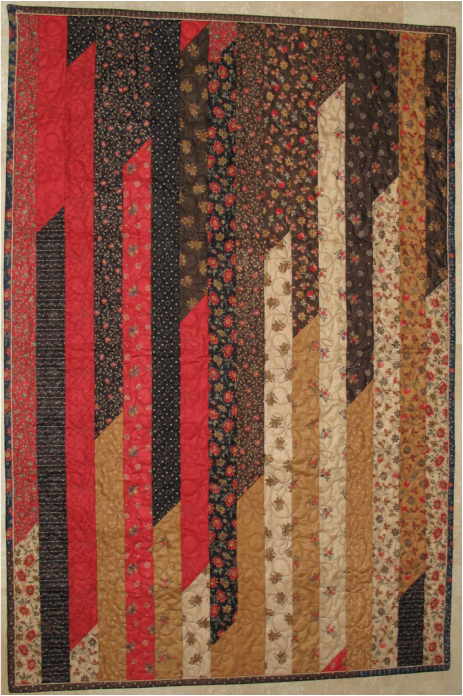 This quilt was made for Amy and Clark, on the occasion of their marriage, with many strips and diagonal corners. I loved the finished look but it was a challenge to make this one. 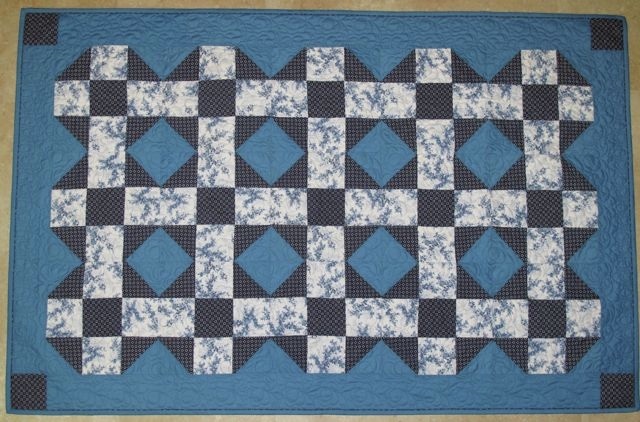 This is the quilt that I made when I took my first quilting class under the direction of Carey Meyer of Wallace. 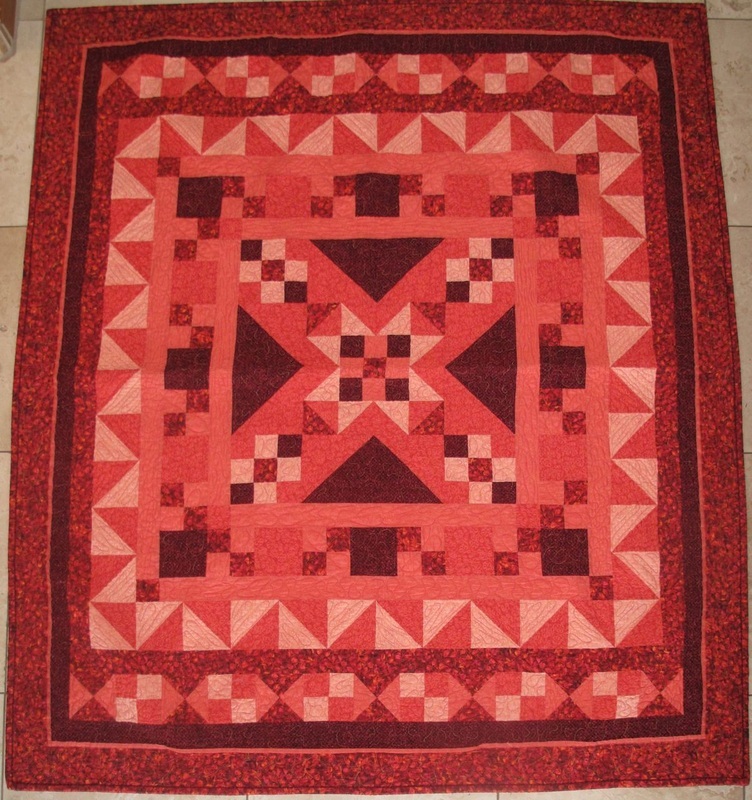 The center of the quilt has the Nebraska windmill block - new in 1980. 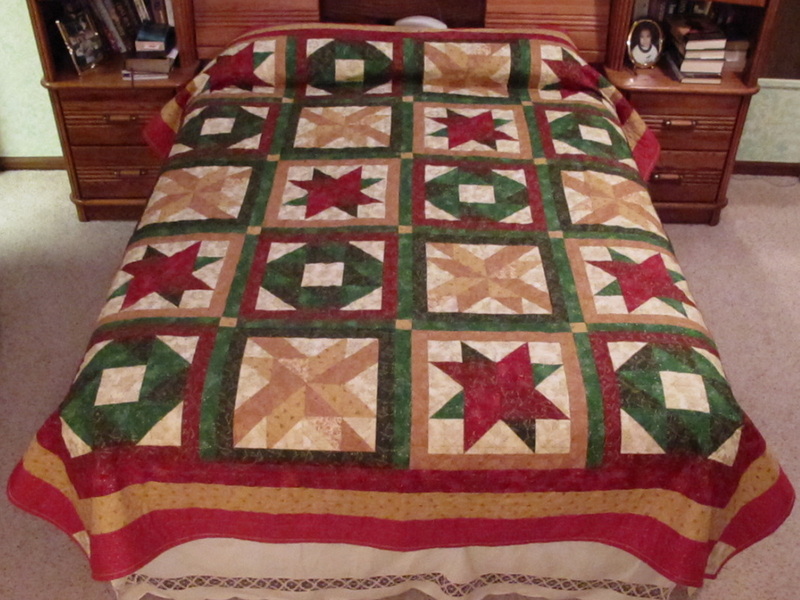 This log cabin quilt was the first that I machine quilted. 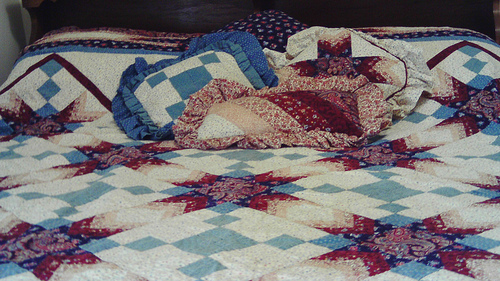 I love the peaceful colors of the quilt. 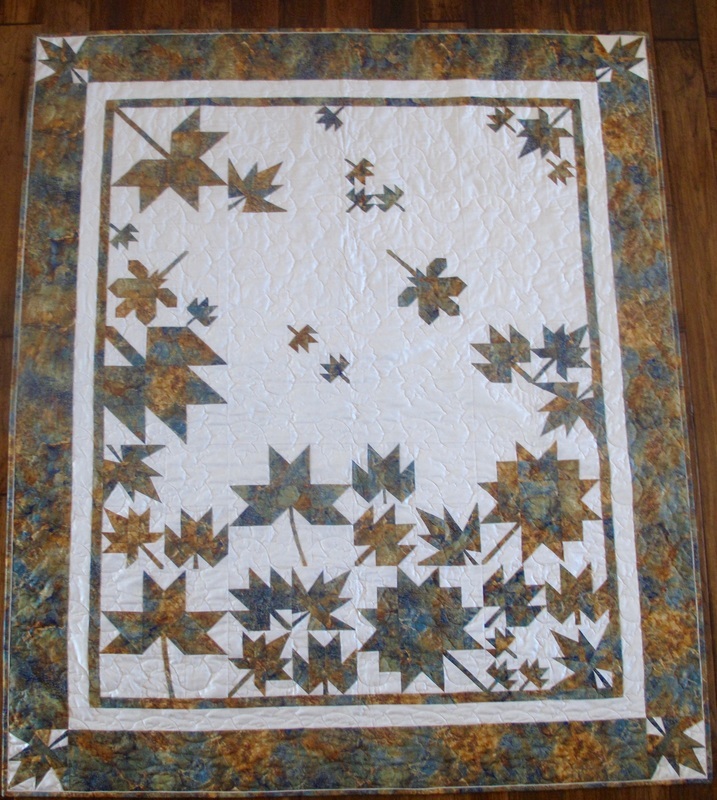 This was one of the first group project quilts I made in Quilted Leaf Quilt Guild. 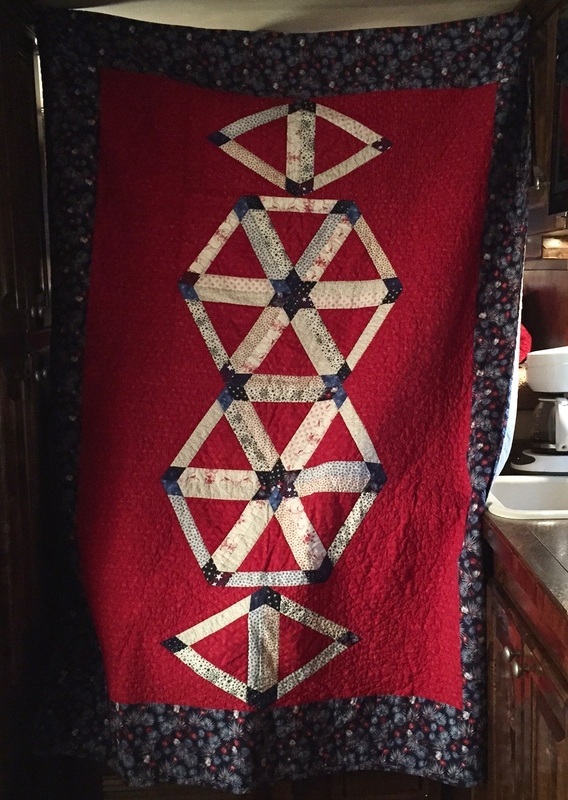 It was an all day quilt project directed by Mona Baldwin, then working for Silver Thimble Sewing Center. This was a mystery quilt from our quilt guild. This quilt contains three block patterns, poinsettia, bow and wreath. It was intended as a table runner. 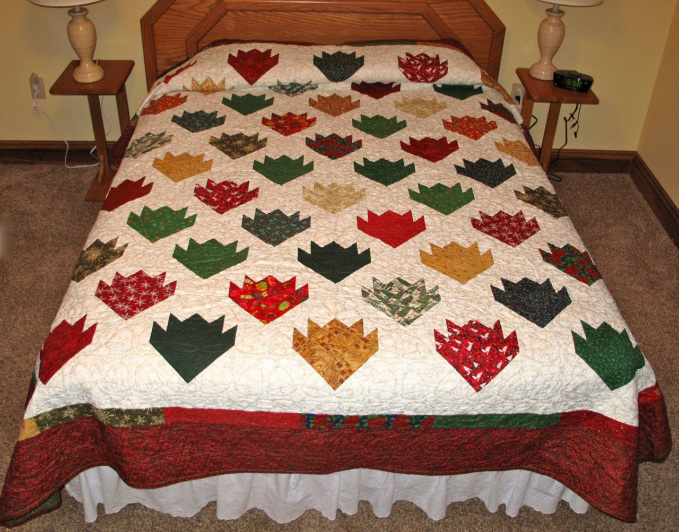 I liked it so much, I made a queen-sized quilt, the first of three Christmas quilts. I took it to my folks the first season, hoping to cheer them up as they faced Mom's cancer diagnosis. 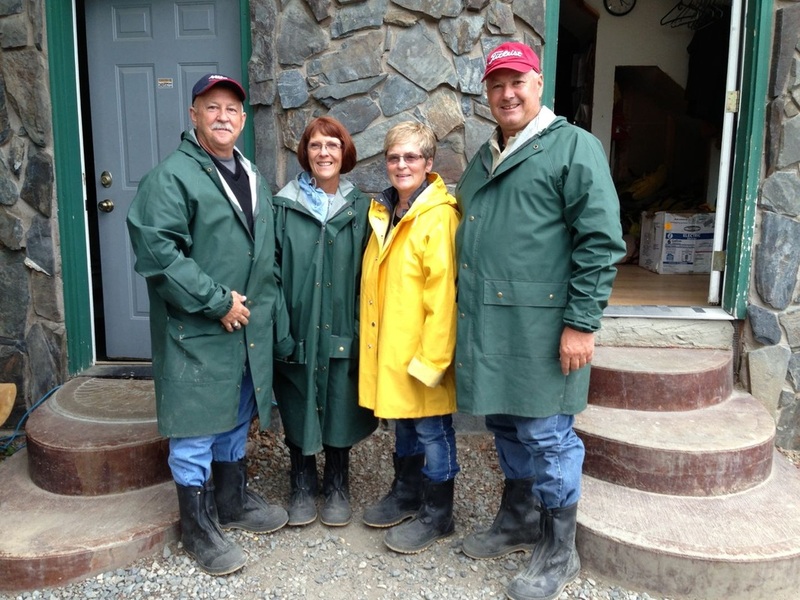 Successful surgery followed in January, right after her 80th birthday. 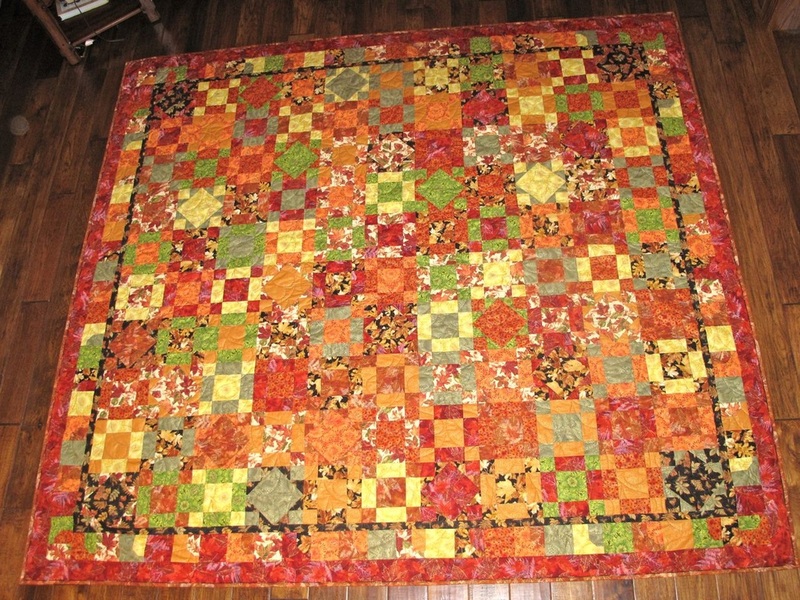 This quilt was created as a fall sewing day project. It is as "scrappy" as I get. 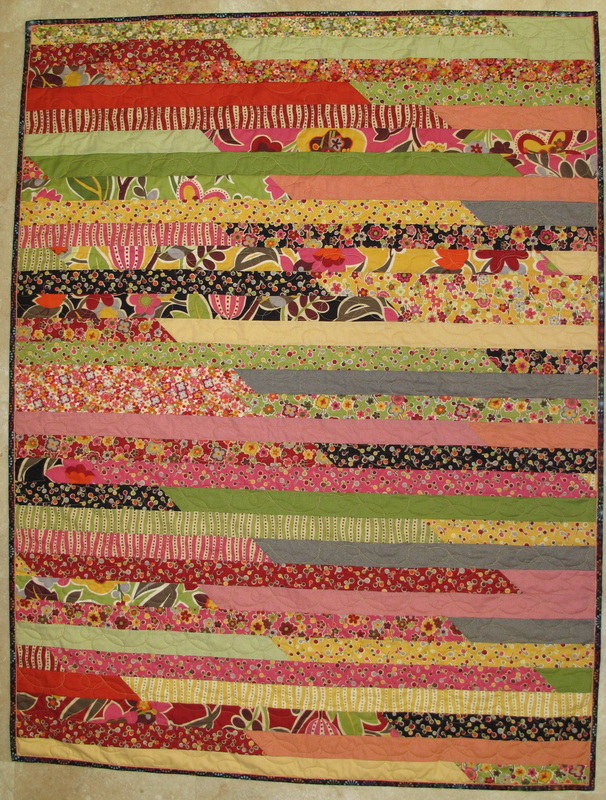 Scrappy means to use a variety of scrap fabrics, not buying any new fabrics, if possible. 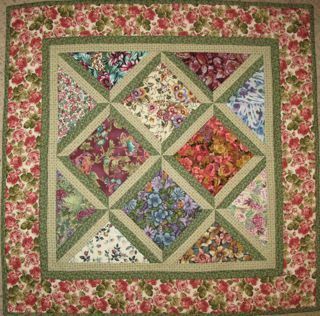 I chose to make each a different Christmas fabric from a fat quarter and to make a complete flower of one fabric rather than mix them up. I didn't take a finished photo so will make that update at a later time. 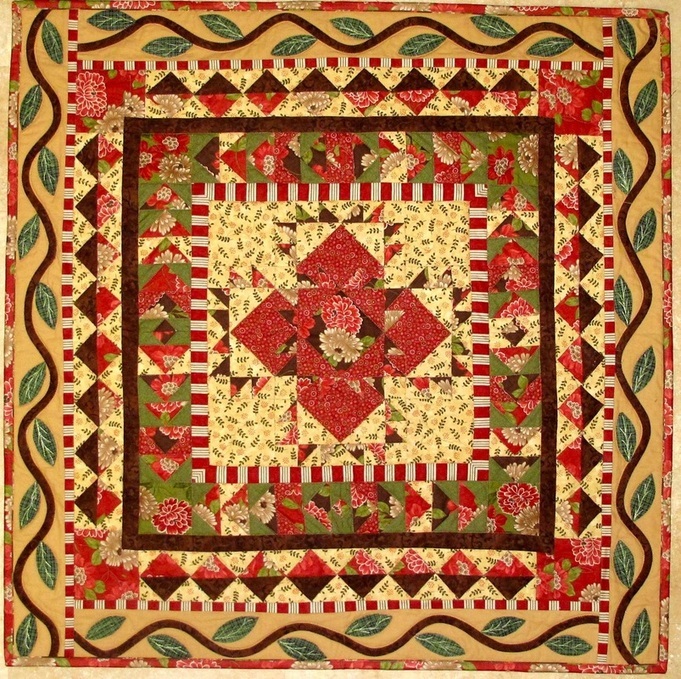 This quilt was created with a positive and negative technique using Christmas fabrics. I like the result. 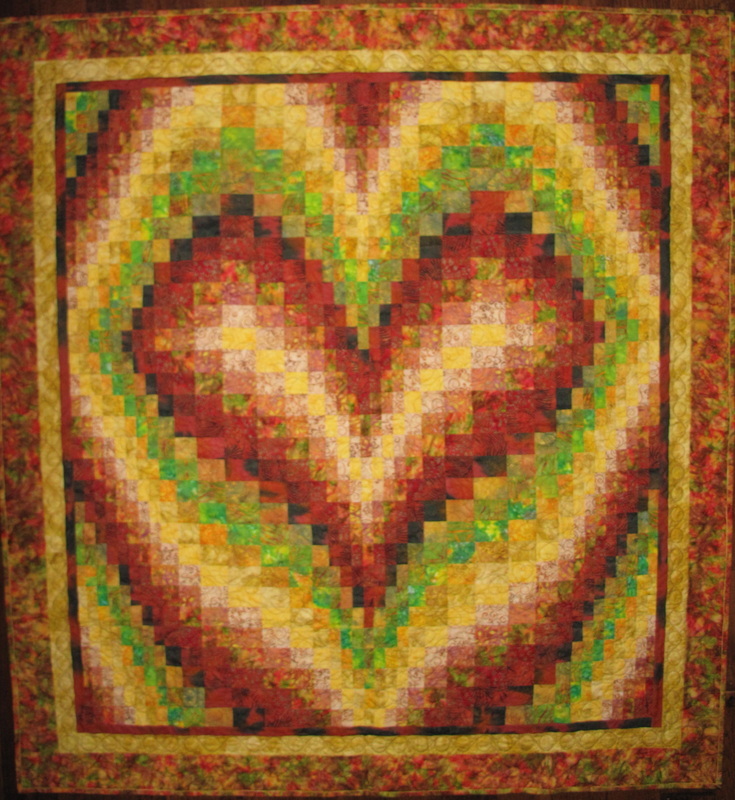 This quilt pattern is called "Bargello Heart", named from the quilting technique used to create this lap quilt. 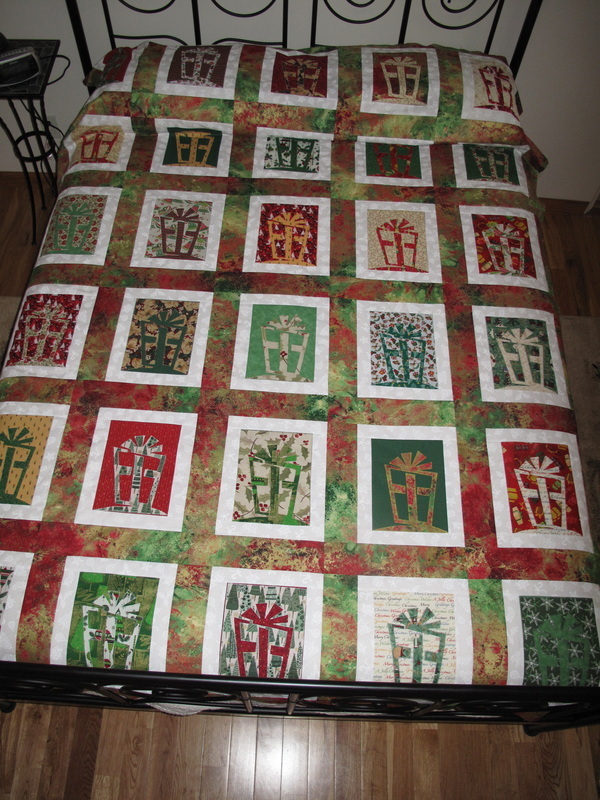 I chose the border fabric as my focus fabric, then made the other fabric selections from that piece. I was a little nervous as it began to take shape - not sure of the color choices - but it really came together after the borders were added. 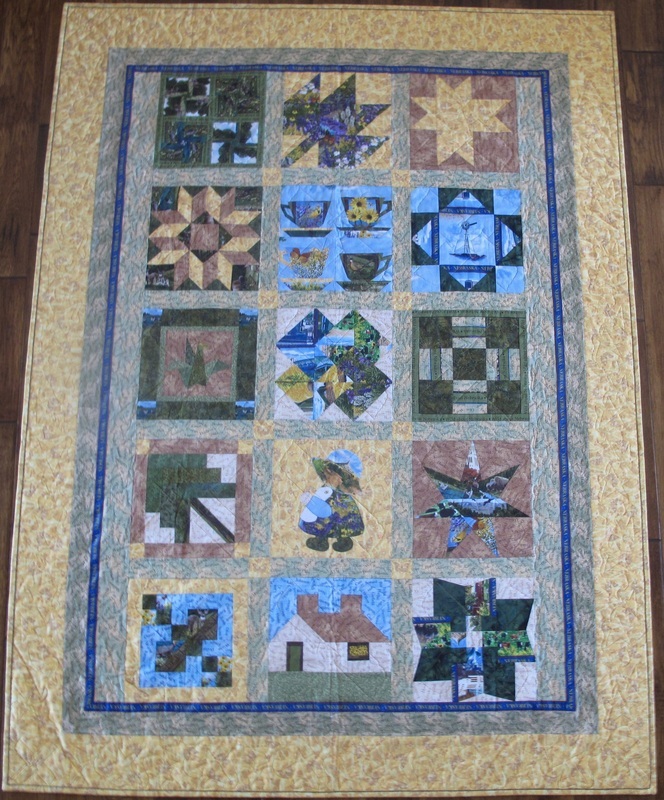 This quilt was a gift for my sister-in-law and brother-in-law on the occasion of their 60th birthdays and retirements. 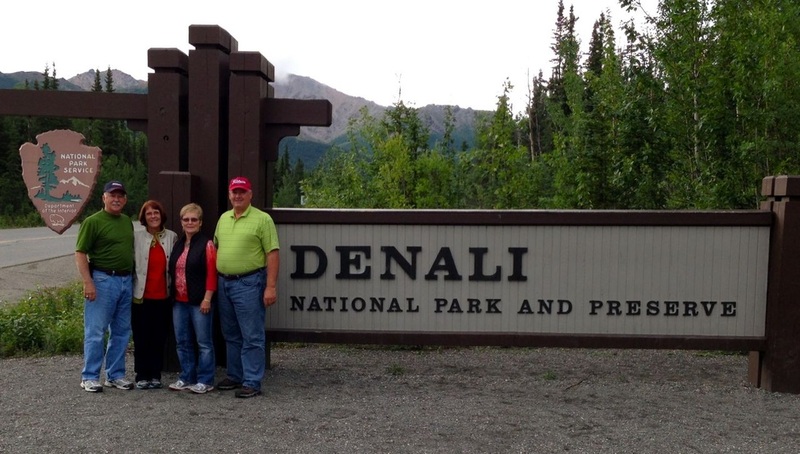 Congratulations, Mike and Shelley! 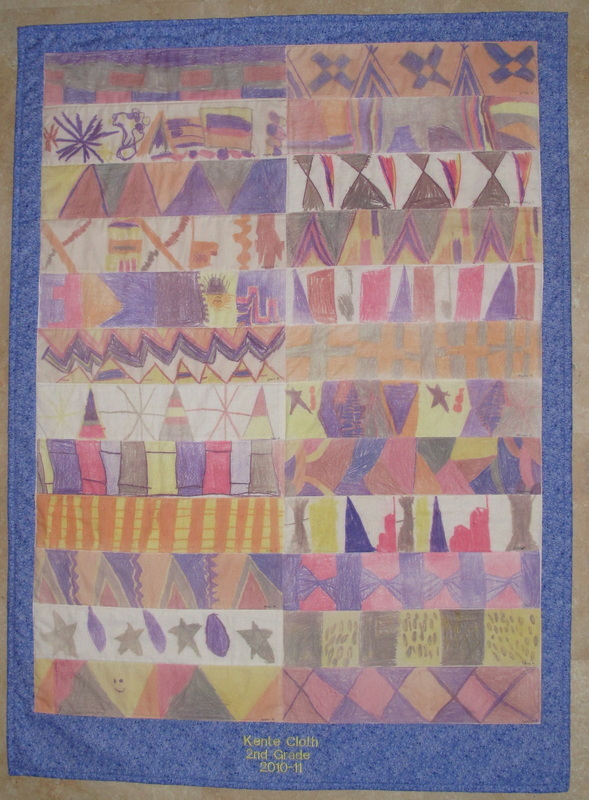 This quilt was created by my second grade art students the last year that I taught at Perkins County Schools. The students studied African Kente cloth. They each created their own strip of cloth and I put it together and gave it to the Elementary as a parting gift. It currently hangs in the school hallway. 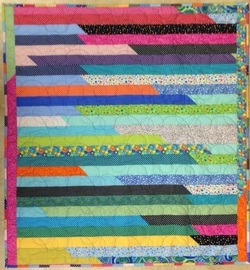 This quilt and the one that follows are created from a jelly roll - fabrics that are pre-cut into 2 1/2" strips. One is in a horizontal format, the other is vertical. 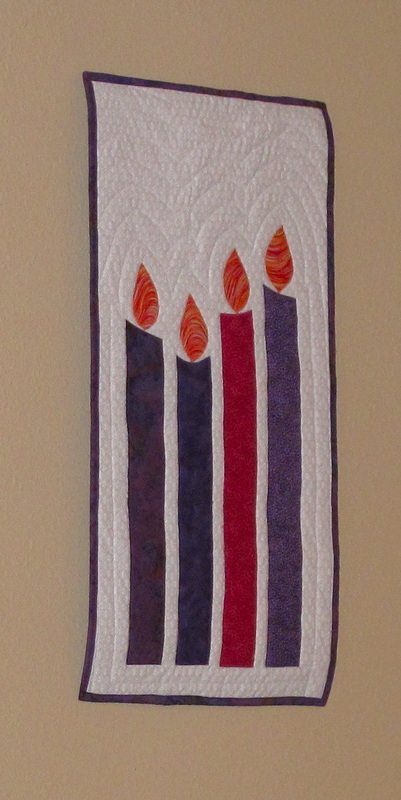 I made an Advent banner for our Elsie United Methodist Church and had some leftover fabric so made this Advent banner for us and two more for Laura and Rachel. This is one of the most enjoyable quilts I have made. 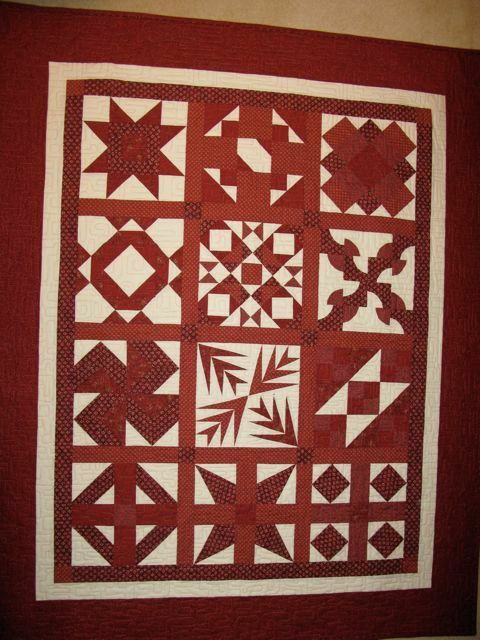 Each block is created from a portion of the border fabric. No two blocks are alike. 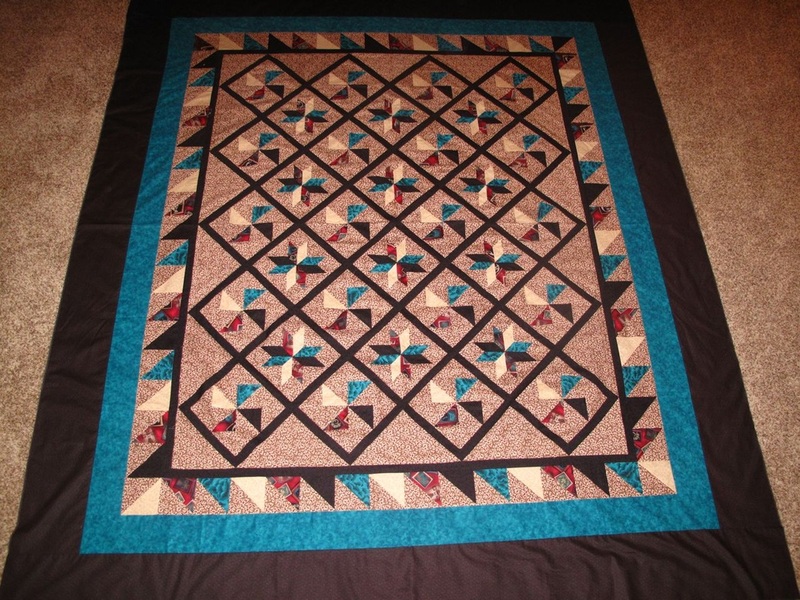 As you can see, this quilt is the same technique as the one above it, but with a very different look. It was completed for our niece, Liz Peetz. 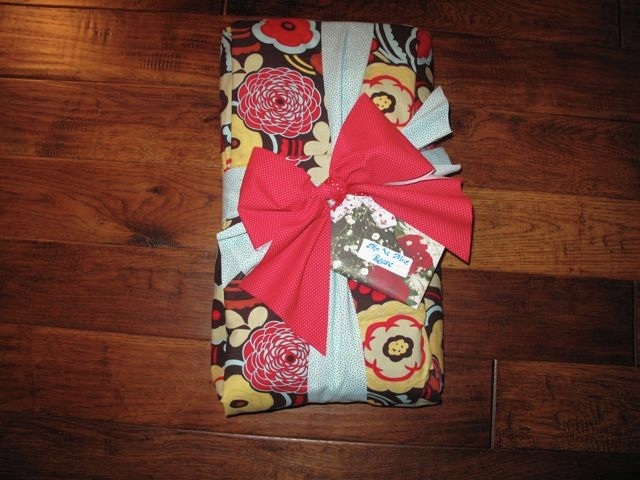 Liz picked the "60's Retro" fabric while visiting in Phoenix, and I took it from there. I had a little help along the way when some of my P.E.O. sisters stopped by to see my new studio and I put them to work designing a quilt block for me. My daughter helped stitch some of the numerous hearts across the quilt. 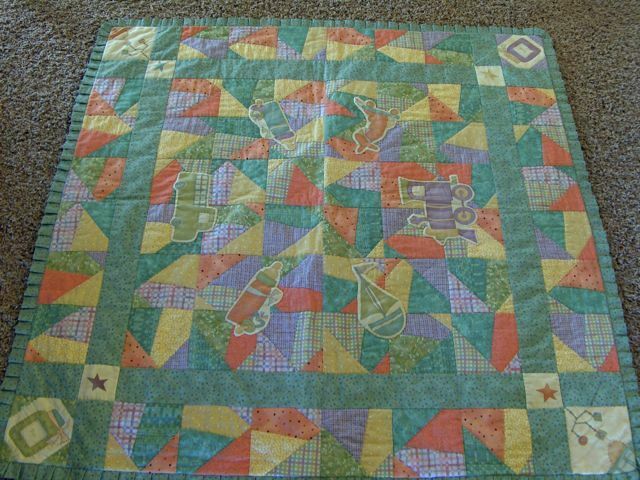 This is the quilt I made for Nick and Rachel for their wedding in 2003. The colors are bright and fun. I chose them from the wedding colors that Rachel chose. 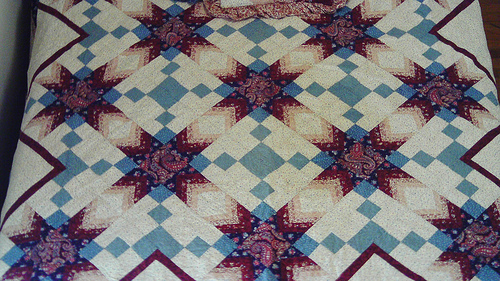 This quilt is hand quilted. Laura and Bryan picked their quilt colors for their wedding quilt of 2004. Bryan even went shopping for some of the fabric but I wasn't supposed to tell his brothers. 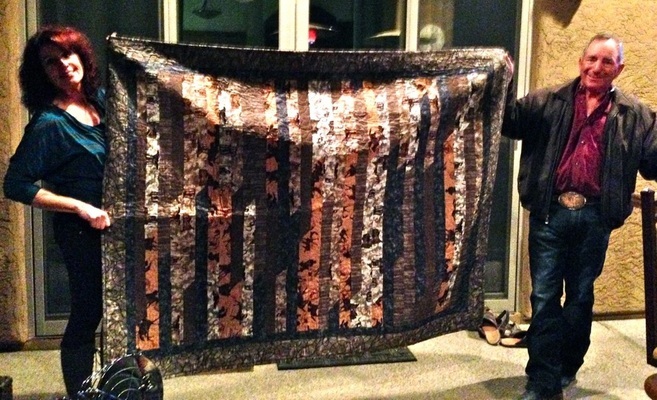 Some of the fabric came from my Nebraska Ambassadors of Music tour to Europe. Laura had gone on that trip in 1999. 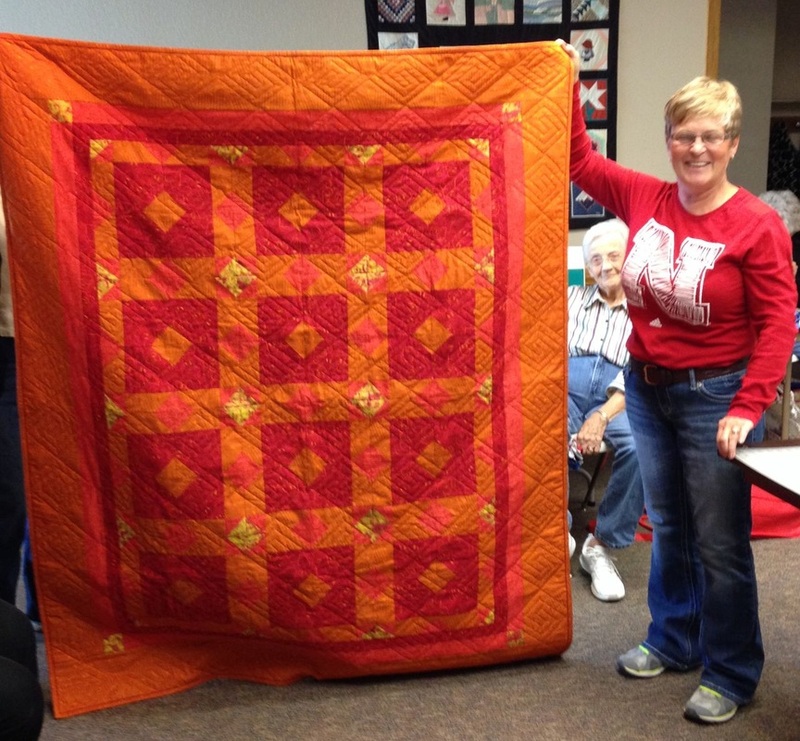 This was a mystery quilt we made at Quilted Leaf Quilt Guild in Grant, Nebraska. My daughter and her family have this quilt. This is the second version of the Road to Jericho. My son and his family have this quilt. 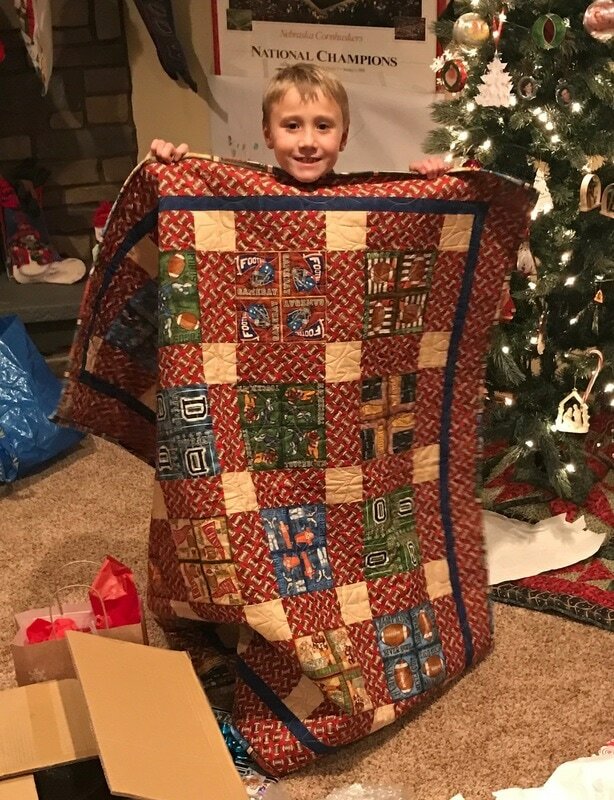 This quilt was made for our grandson, Mason James. 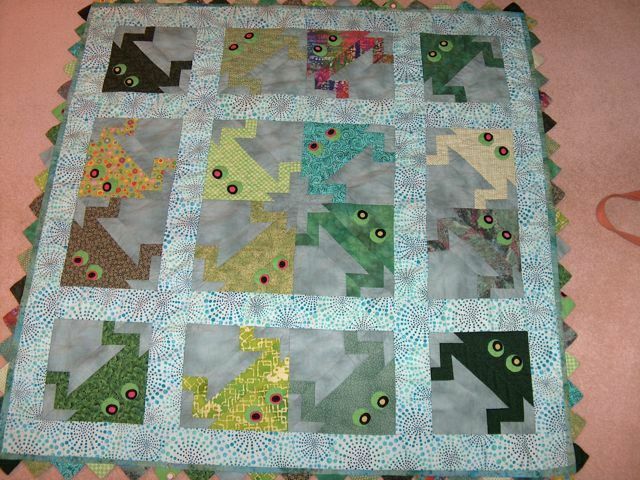 It features sixteen different frogs and the pattern is Frogs in the Pond. 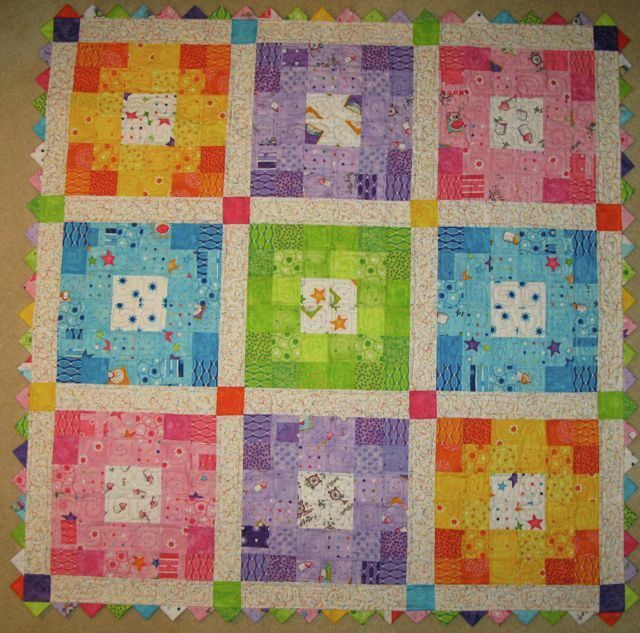 This quilt was a fun one to make for Ryleigh Ann, using baby pastels by Moda with the stack and whack technique. Appliques were added to enhance the design. 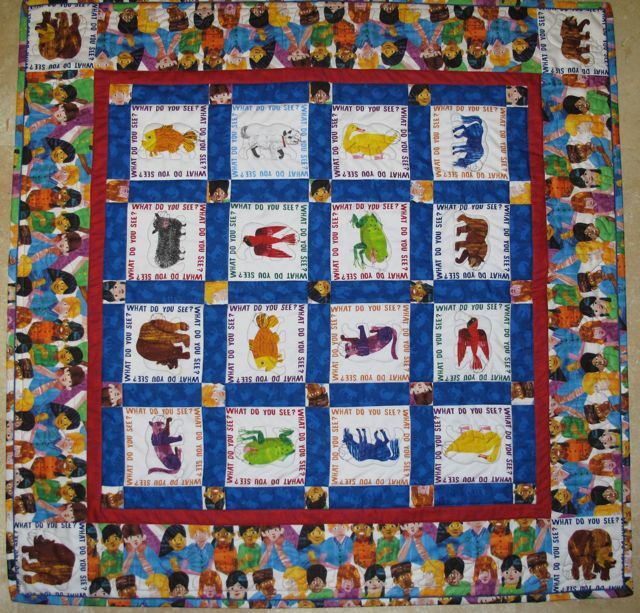 This quilt was created for Max Arthur with bright and primary colors. Because he was born a month early, I had to work overtime to get it done. 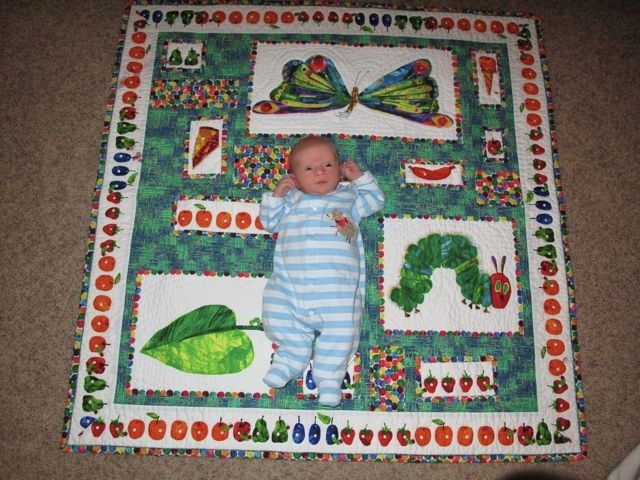 This quilt is made from a fabric that is based on Eric Carle's book "The Very Hungry Caterpillar". I love to read this book because of it's wonderful illustrations. 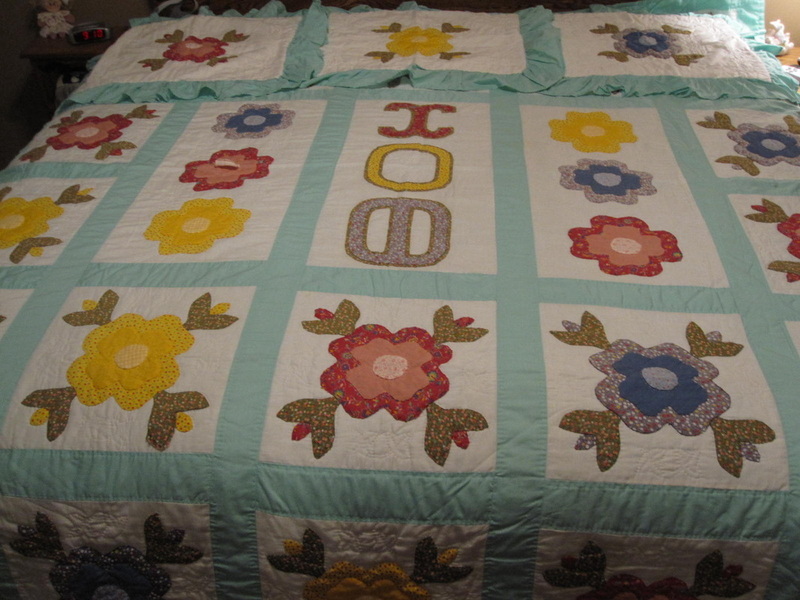 Those worked out very well in the quilt. In case you missed him, Bradley Earl is the cutie by the caterpillar. 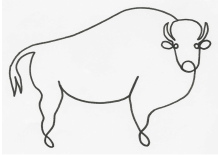 block was stitched with a brown bear, except for the one with the buffalo signature. This is a wall hanging - a less time consuming project when trying out a pattern. 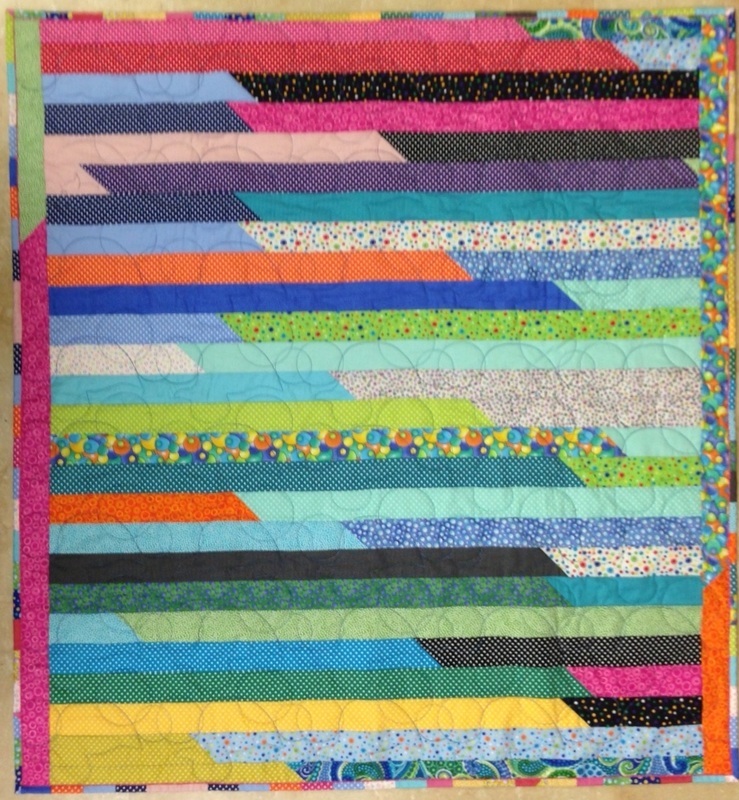 Our quilt guild made this one year at our annual all day quilting gathering. 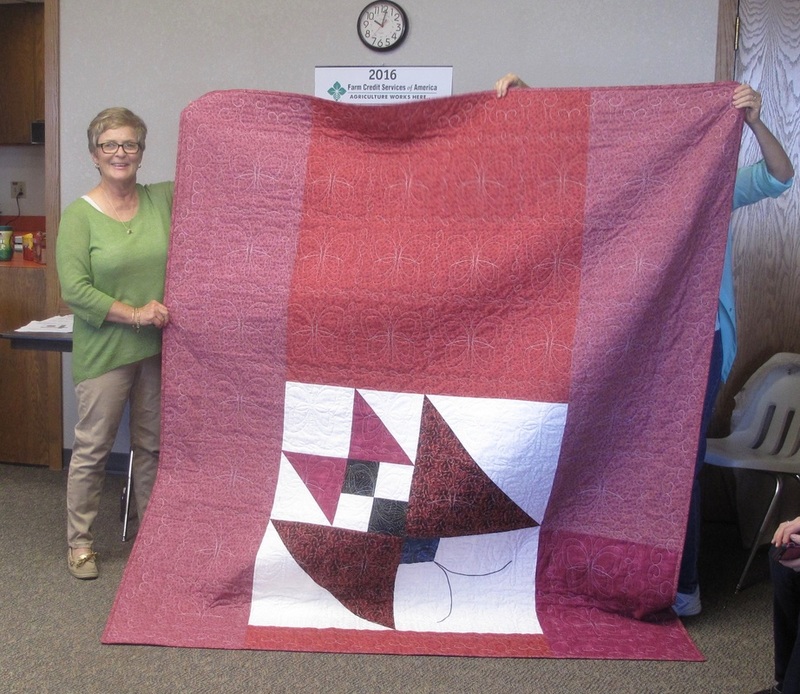 The fabric for this quilt was purchased in Rothenburg, Germany at a little fabric store on a side street near the Market Plaza where the Nebraska Ambassadors of Music perform. The book I purchased was only written in a foreign language but the pictoral directions were very good. 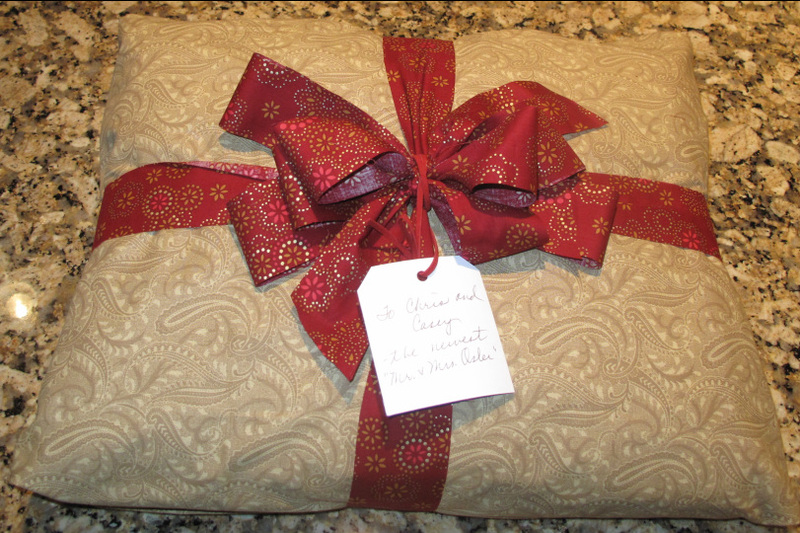 I gave Mom the book when she was given the quilt. 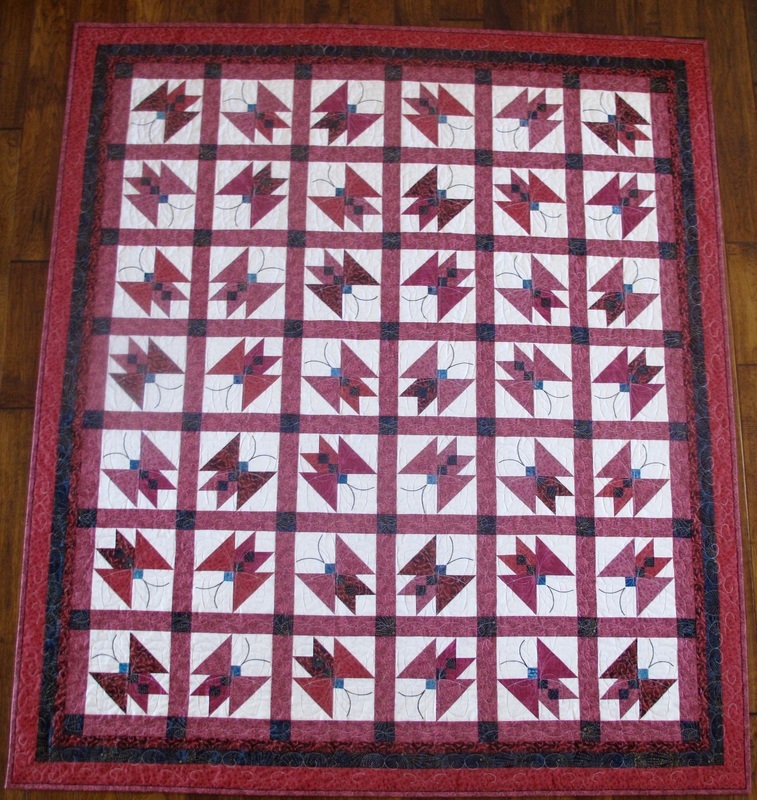 I chose the square dance pattern because she and Dad have been avid square dancers for many years. One winter I was given three bags of fabric by two co-workers who had closed their mother/mother-in-law's home because she had moved. When I finally had time to sort through it I found nine quilt blocks and enough fabric cut for several more. I decided that these were not mine to keep so I put them together for Margaret and gave it to her daughter-in-law to give to her. I hope she liked it. Margaret was a wonderful caregiver to many and I am assured that she continues to care for her loved ones as she watches down from heaven. 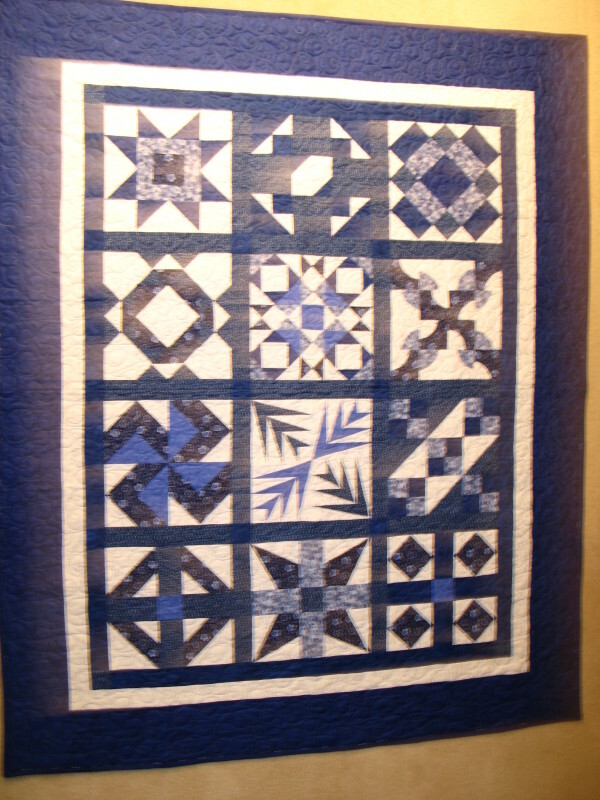 "The Case of the Progessive Units"
This quilt was made as a mystery quilt at our local Quilted Leaf Quilt Guild. 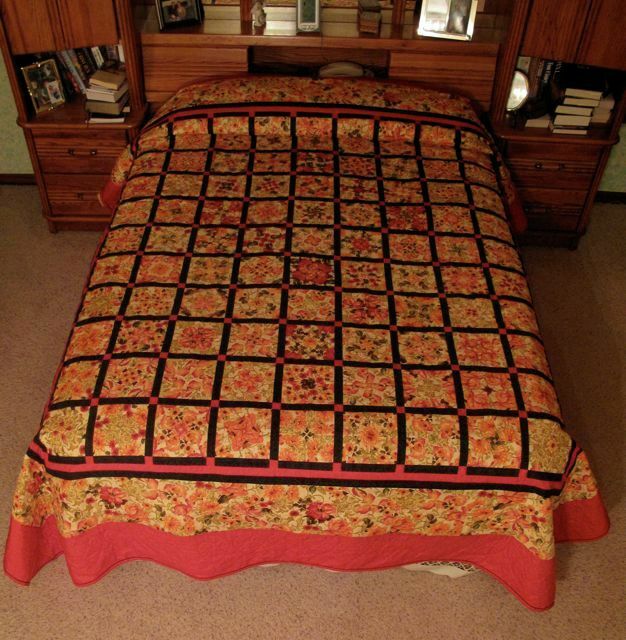 This terracotta colored quilt fits nicely in our home in Cave Creek, Arizona. I found this pattern and the wonderful batik fabric when shopping with my sister, Amy, at a delightful quilt shop in Syracuse. I loved the story of the designer - she and her sister would play a game as young girls and it involved a green door. I could imagine Mike and his brother playing games as they grew up. Now Mike has a new best friend for life. I hope they take time in their busy lives to "find the green door" and play often. I wanted to make a quilt that would somehow represent the "architecture" background of the couple. I also needed to be able to work quickly because they chose a New Year's wedding in the mountains and I was headed to Phoenix without my quilting machine so needed to get it done before I left. 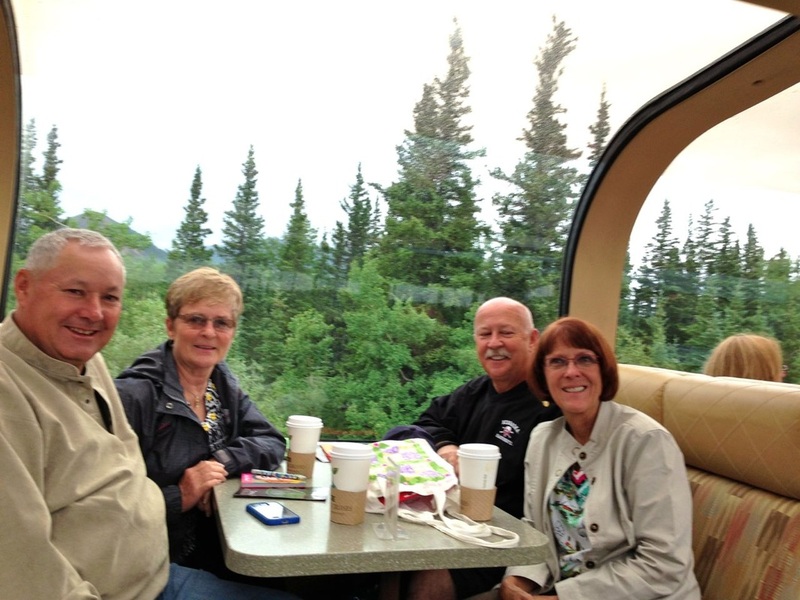 I picked the fabric while on a quilt trip with two retired friends - a party of sorts. The pattern is called "Pajama Party" because the designer claimed you could piece the top at a one-night pajama party. 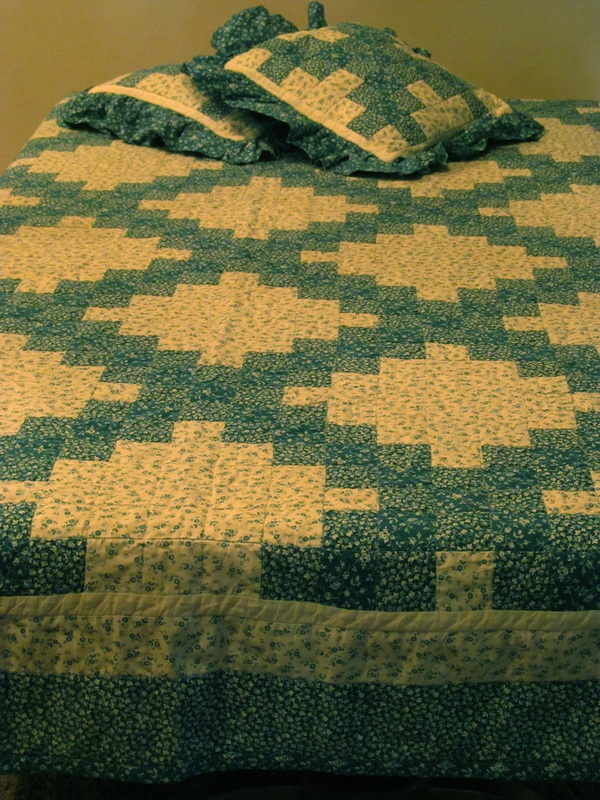 It would have needed to be a couple "all-nighters" for me but I really enjoyed the piecing and quilting. Chris and Casey are a wonderful match and I wish them many "parties" in their new life together. This is the gift wrapping for the quilt - the backing for Chris' quilt is much like Mike's.